Meet Padme. 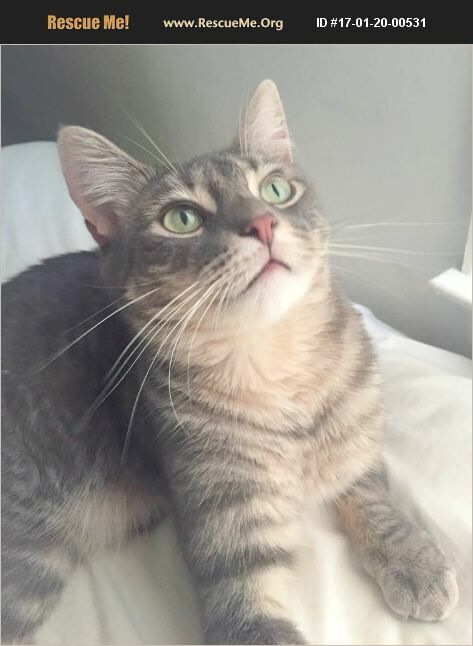 Padme is a DSH gray with hints of brown tabby. She is so affectionate. She would be a great fit for a working professional, as a single cat, or a senior citizen. She is fine with other cats but she is so mellow and sweet that she would fit into those lifestyles very easily. She has some special needs, mostly with recurrent UTIs which may be from her spinal injury, that causes her to get around with a limp. We are looking for a very special person for her, that will appreciate her and love her. If you are that person, please contact us right away. Rescue Angels of Southern Maryland, Inc.